It’s beautiful and exciting! 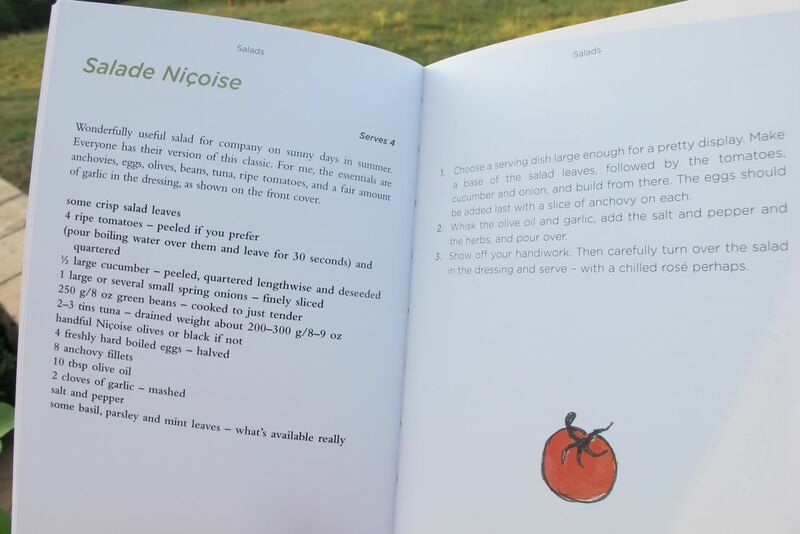 I am looking forward to seeing the recipe for Salade Nicoise. I have loved it ever since my hus band and I lunched at the French Village at Disney World in the 80’s. Thanks fo he peek! Thanks Louise–if you’re getting my posts in your inbox click on the title[A peek inside] which will take you to the blog and then click twice on the photos; they enlarge and you can read them. Looks great! 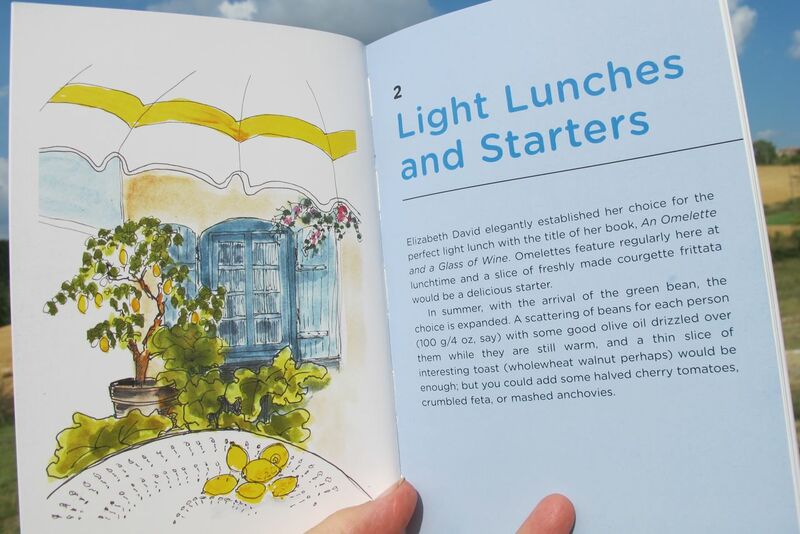 Easy to read, good lay-out, and looking at the photo’s, the pages feel like summer, sunny and light. Beautiful book, beautiful sketches! Hope it becomes a great succes!! Thanks Dieneke-I hope so too! The sketches are lovely and can I tell you how much I appreciate the size of the print? So many cookbooks have me with squinting or reaching for my reading glasses. They are watercolours and you are right–Hope James has captured the atmosphere here. full of life & colour,looking forward to the day it comes in the post . Thanks Elaine–hope you like it when in comes! I love the illustrations too, it looks to be a beautiful book. The pictures remind me a little of Douglas Warner Gorsline’s illustrations of Pride and Prejudice! Wonderfully done. Thank you for making these recipes available! I am looking forward to trying the pesto sauce tomorrow night. Thank you! I used the sauce on whole-wheat rotini. It was an instant hit with all – particularly with those who loathe tomatoes! They were ripe and the offer was hard to refuse! !